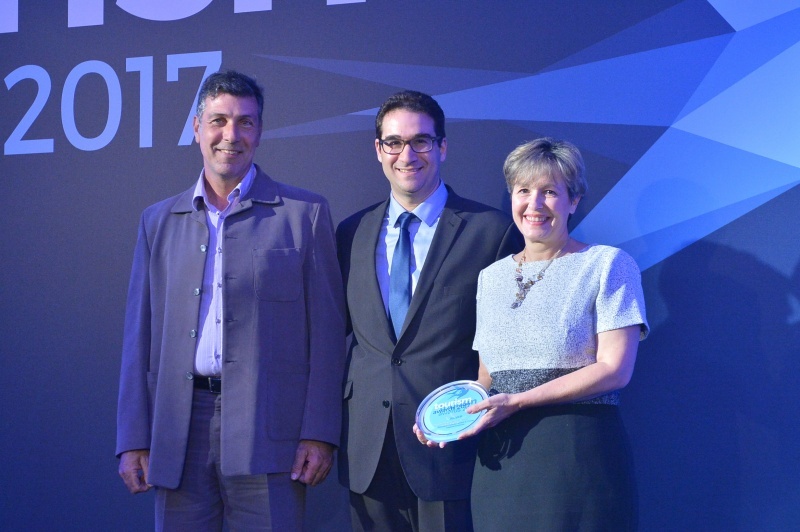 Among the "champions of Greek tourism" for 2017 was the hotel "Ninemia" in Karpenissi. At the 2017 Tourism Awards ceremony held on Tuesday 21 March at the Atheneum InterContinental. She won the Silver Prize in the "Traditional Guesthouse" category. Tourism Awards reward best business practices and initiatives that promote innovation and quality in Greek tourism. Especially this year, there have been nominations for new hotel openings and sea tourism companies, luxury travel and digital tourism. The Minister of Tourism, Elena Kountoura, who welcomed the award, acknowledged the importance of the Tourism Awards as an event that highlights examples of high quality in Greek tourism as well as all the companies and institutions that have distinguished themselves for their initiatives. The Minister congratulated the winners and acknowledged their contribution to the overall success of Greek tourism. In the competition, all nominations were evaluated by a 25-member independent jury, chaired by Maya Tsoclis. Among them, academics, subject-experts and eminent personalities with a view and experience in hospitality such as: Giannis Tseklenis, Lefteris Lazarou, Kostas Vogiatzis, Marianna Sigala, Giorgos Pittas and Konstantinos Lazarakis.